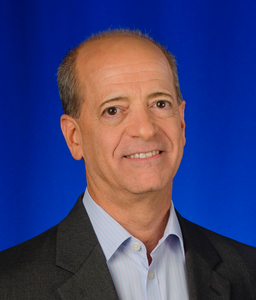 Skip Pizzi is Senior Director, New Media Technologies at the National Association of Broadcasters in Washington, DC. His career includes earlier work as an engineer and technical trainer at NPR, as an Editor at Broadcast Engineering magazine, and as an Audio Engineering Manager, Director of Media Standards, and Senior Technical Policy Analyst at Microsoft. He has been a regular columnist for several technical trade publications, and has authored or contributed to several books – the latest of which is "A Broadcast Engineering Tutorial for Non-Engineers" (4th edition), published in March 2014 by Focal Press, which Skip co-authored with Graham Jones. An earlier book, "Audio Over IP," co-authored with Steve Church, has been a best-selling title for Focal Press. Skip currently serves as Vice-Chair of ATSC’s Technology Group 3 (TG3), which is developing standards for its ATSC 3.0 next-generation digital television standard. He is also the Audio Testing Coordinator for the project. Skip is a graduate of Georgetown University, where he studied International Economics, Electrical Engineering and Fine Arts. He is a recipient of the AES Board of Governors award.